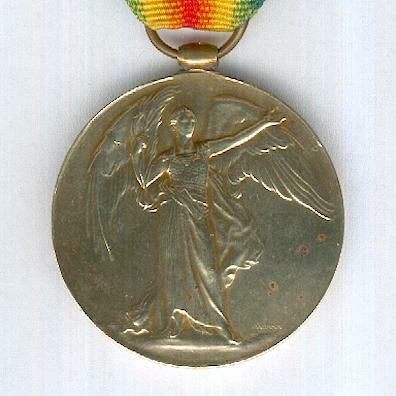 Circular gilt bronze medal on laterally pierced cylinder suspension; the face with a winged figure of Victory, signed ‘W McM’ (for William McMillan, 1887-1977); the reverse inscribed ‘THE GREAT WAR FOR CIVILISATION 1914-1919’ within a circular laurel wreath; attributed on the edge to ‘39891 PTE. 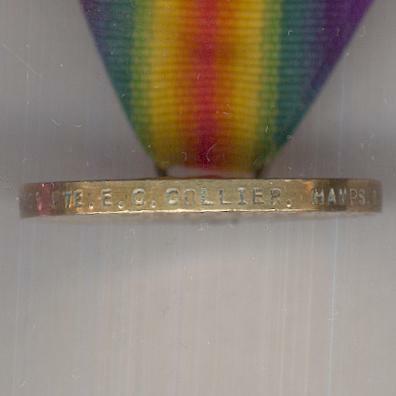 E. C. COLLIER. HAMPS. R.’; a couple of small age-oxidisation marks, polished; on replaced correct ribbon. 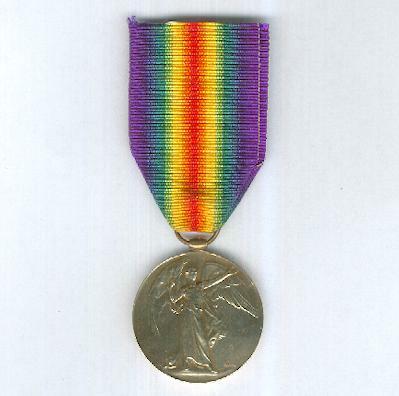 The British medal was instituted on 1 September 1919 to be awarded to all those who served in a theatre of operations between 5 August 1914 and 11 November 1918. It was awarded also to all British Empire military, except those of South Africa, whose government issued their own variant. 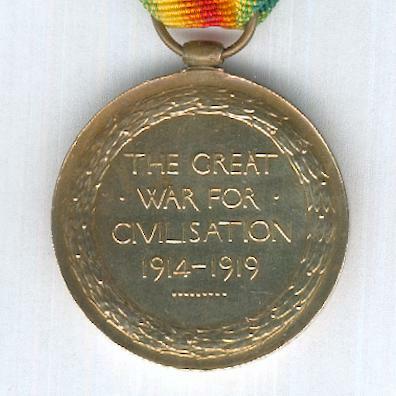 Additionally, it was awarded to those British servicemen active in the Hejaz and Aden after the end of the European war, for post-war mine clearance operations and for the Royal Navy mission to Russia, hence the latter date of 1919. 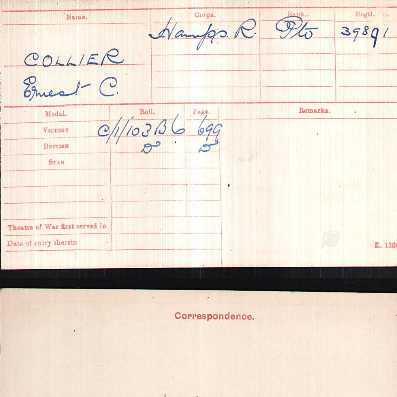 Private Ernest C. Collier was also entitled to the British War Medal 1914-1920. Sold with a copy of his Medal Index Card showing entitlement.